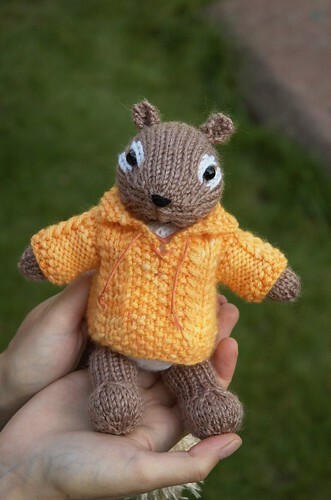 The Chipmunk pattern is now available at Etsy, Lulu, and Ravelry. It has been a super busy weekend, and I am too tired to write any more. Thanks for all your patience, and I hope you enjoy the pattern! P.S. If you find any mistakes, please let me know so I can post the corrections here. Posted by Barbara Prime at 8:58 p.m.
September 7, 2009 at 11:43 p.m.
so cute! I think I may just have to go and get it!! September 8, 2009 at 4:14 a.m.
oh my! so so sweet and so well executed! bravo!! September 10, 2009 at 11:53 a.m.
Ok, he is just the cutest thing ever! And I love his little sweater too. September 10, 2009 at 8:11 p.m.